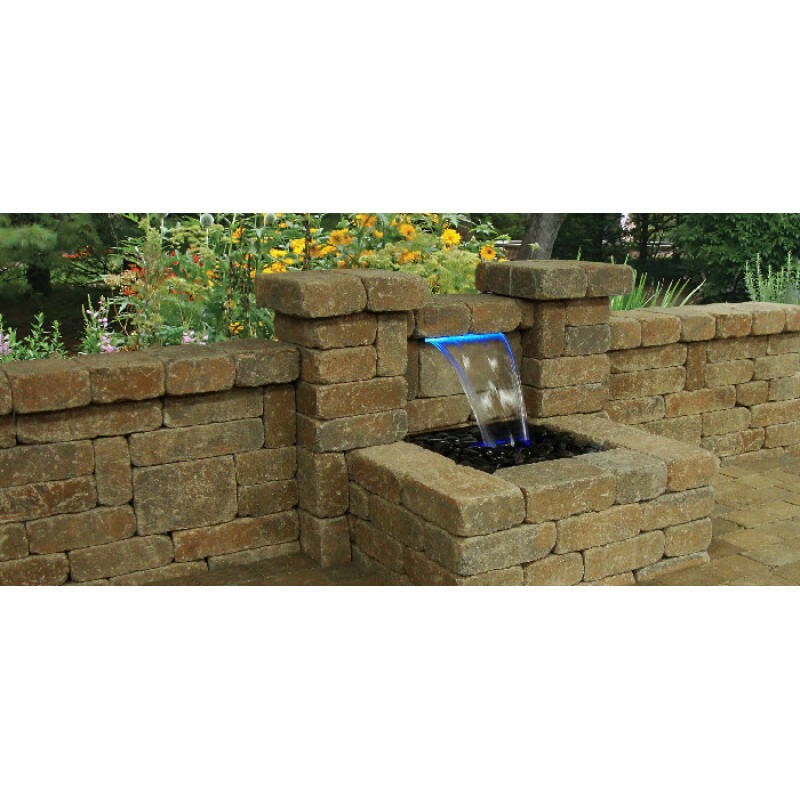 Atlantic’s Color-Changing Colorfalls kits are all-inclusive packages that are a perfect fit for formal retaining walls and pondfree applications. Colorfalls adds a breathtaking new dimension to a water feature – waterfalls with shimmering details in customizeable colors. 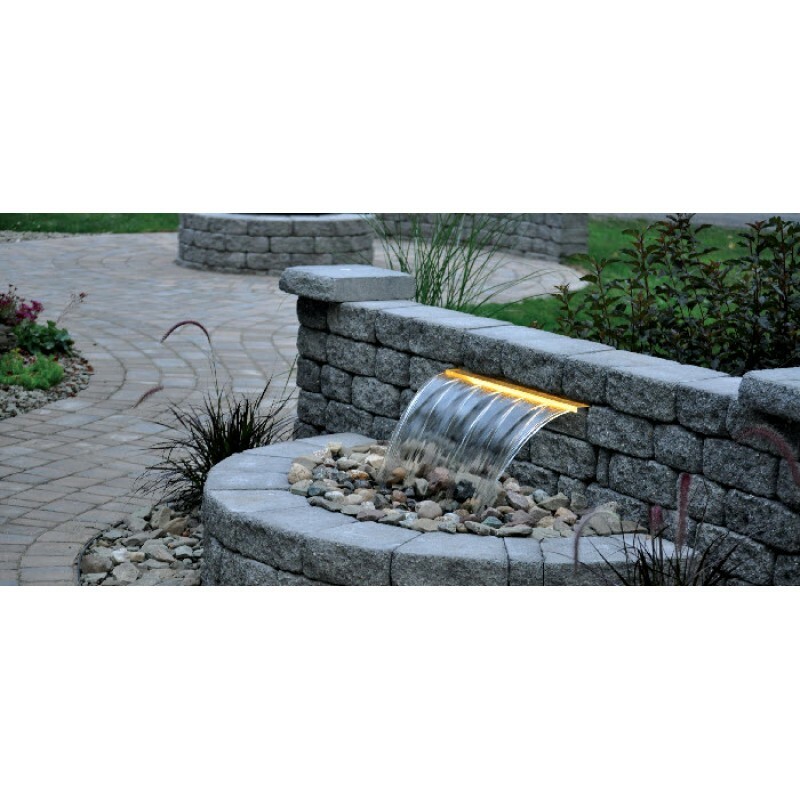 You’ll be able to enjoy the beauty of your water feature day or night. 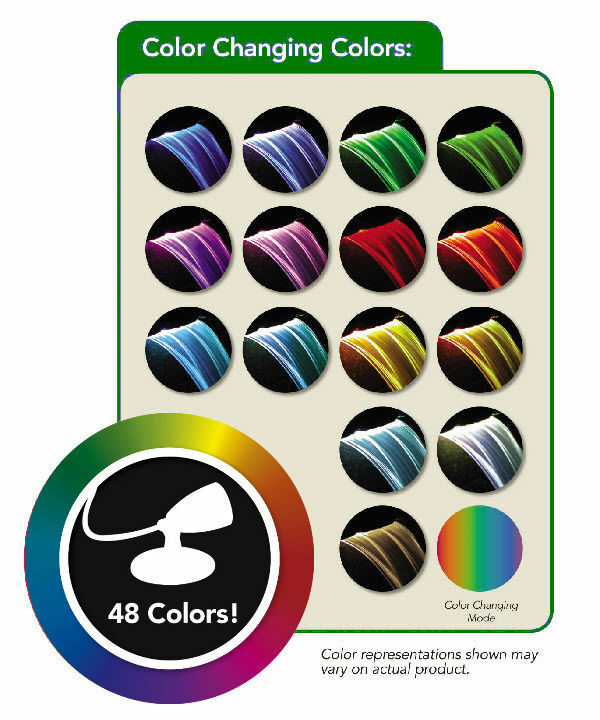 The remote control allows programmed color changes or adjustable tones. 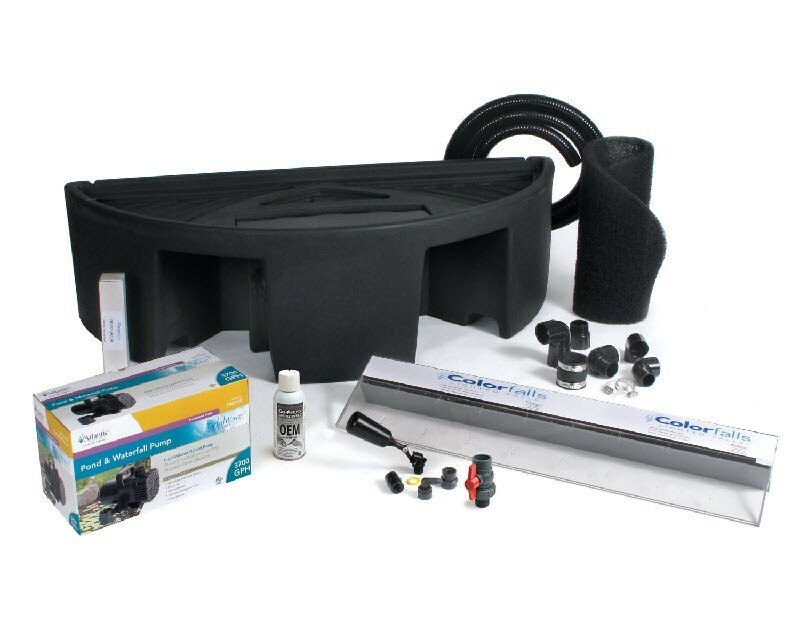 he new weir design allows more water to come through, adding body and extra color to your falls, while the new light bar offers 16 different color options. 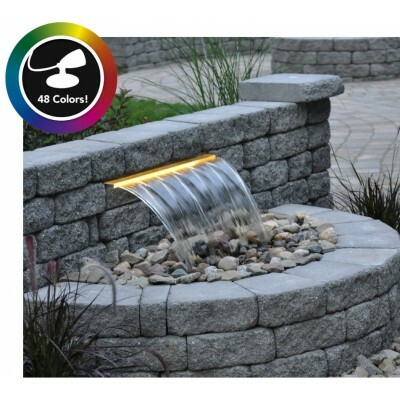 A remote control module is included with all Colorfalls Color Changing Weirs. 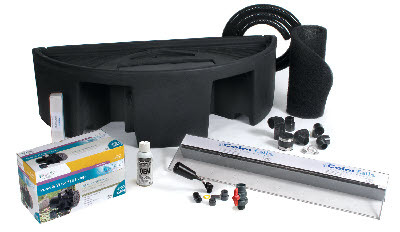 Glue & All Required Fittings. 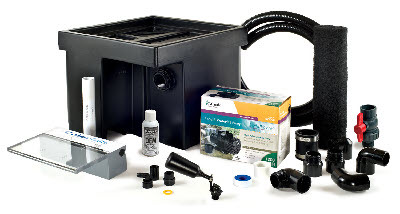 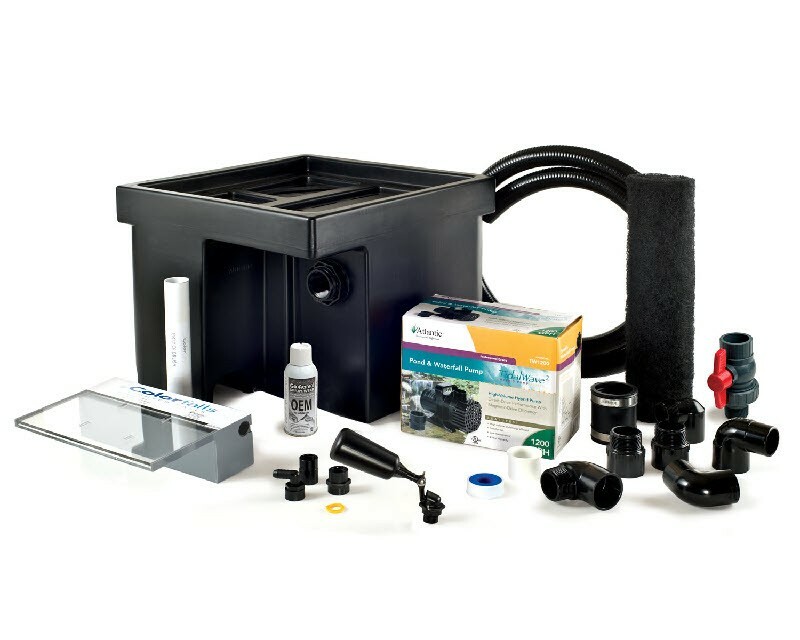 Includes 12" Color-Changing Colorfalls, TT1500 Pond Pump, Basin, Lighted Weir, Matala Filter Pad, Antisplash Mat, Flexible PVC Tubing, Autofill Valve, Cleaning Brush, Glue & All Required Fittings. 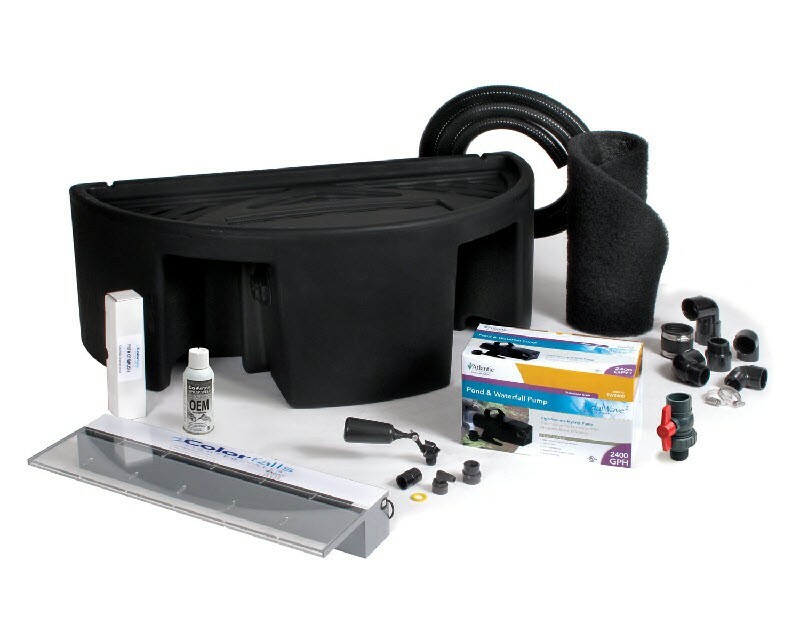 Includes 24" Color Changing Colorfalls, TT 3000 Pond Pump, Basin, Lighted Weir, Matala Filter Pad, Antisplash Mat, Flexible PVC Tubing, Autofill Valve, Cleaning Brush, Glue & All Required Fittings. 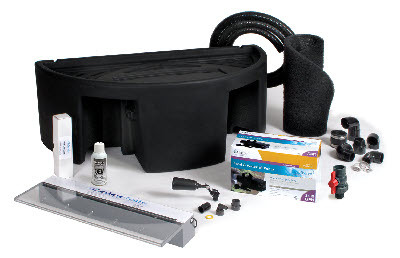 Includes 36" Color CHanging Colorfalls, TT4000 Pond Pump, Basin, Lighted Weir, Matala Filter Pad, Antisplash Mat, Flexible PVC Tubing, Autofill Valve, Cleaning Brush, Glue & All Required Fittings.